Emerson Primary Care Associates of Bedford is located within close proximity of the historic Bedford town common. 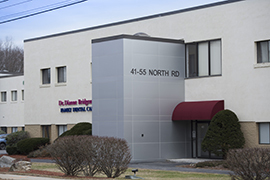 We are fortunate that our office is in a medical building with a variety of other practices, including a podiatrist who is affiliated with Emerson Hospital. We are conveniently located on the first floor with plenty of free parking at the front and back of the building. Because our practice is affiliated with Emerson, we work closely with Emerson specialists. They include outstanding cardiologists, endocrinologists, rheumatologists, oncologists, dermatologists and orthopedic surgeons. If you need imaging tests, from x-rays to MRIs, they will be performed at Emerson. We will be happy to assist you in making an appointment. Today, primary care practice is largely about preventive care: all the ways we can help you stay healthy. They include health screenings and tests and counseling you on how to control your risk factors, including those associated with family history or lifestyle. Primary care also includes diagnosing or managing an existing health problem or condition and, when appropriate, connecting you with a skilled, experienced specialist. In summary, we provide preventive health visits and screenings, care for men and women throughout the lifespan and thoughtfully manage chronic diseases, such as high blood pressure and diabetes. Primary care practice has evolved to where we identify behavioral conditions, such as depression and anxiety, so that we can treat them successfully. We ask about our patients’ emotional health, and we connect those who will benefit with an onsite provider who can perform a behavioral health assessment. 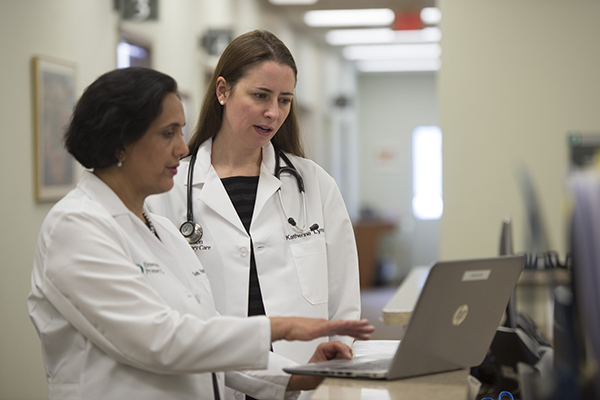 Thanks to our relationship with Partners HealthCare, we have dedicated behavioral health specialists working in our practice who meet with our patients and, where appropriate, guide them to treatment. They are available to answer your questions and provide you with education and useful information. 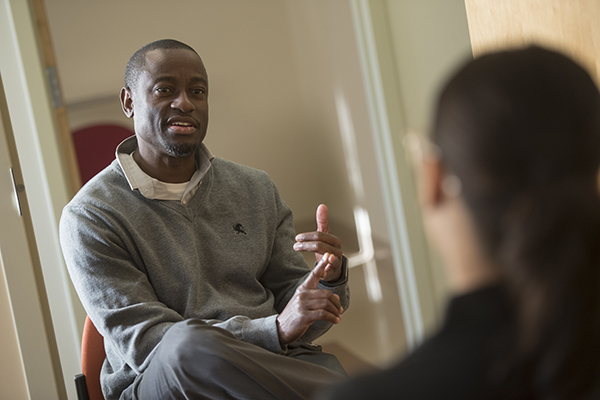 Our behavioral health specialists include a social worker who is onsite one day a week but available to contact patients and coordinate care throughout the week. We also have a nurse/care manager who works with high-risk patients, including older patients, and makes home visits that are much appreciated. The third member of our behavioral health team bridges the two areas—behavioral health and care management—to follow up with patients who need ongoing assistance or coordination of their treatment.